"Relish the lovely sound of the Orlando Consort, revel in the sheer sensuality of the music and give yourselves the treat of being moved to tears by 'La Deploration', a loving memorial for a fellow great composer." "Like great Renaissance paintings, great Renaissance music can transcend its own time to reveal the essence of our humanity. Josquin was arguably the greatest of Renaissance composers. The disc contains 16 examples of his art, including the sevenfold motet cycle Vultum tuum deprecabuntur, and ranging from the early Christe Fili Dei, whose top line is here experimentally sung to the text of the secular song on which it is based, to the Déploration de Johannes Ockeghem, a heartfelt tribute from one composer to another. It's fascinating to follow the development of Josquin's language from medieval decorative artifice - in Ut Phoebi radiis, for instance - to the intensely expressive polyphony of De profundis clamavi, where structure and emotion are as one. 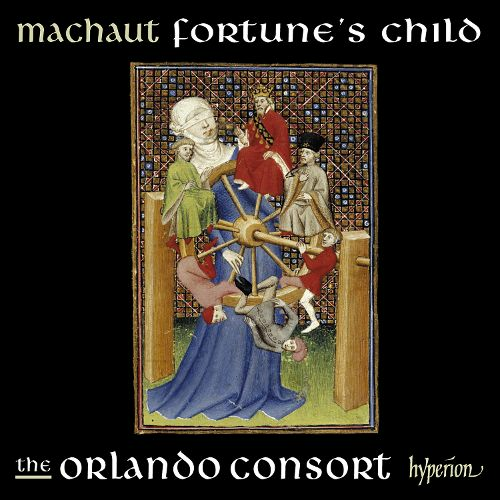 The Orlando Consort's performances are staggeringly beautiful." "Josquin Desprez (c1455-1521) was one of the greatest of renaissance polyphonists, and the Orlando Consort's scrupulous performances of some of his most magnificent achievements, using new and specially prepared editions of the motets, do full justice to his invention and imagination. In works such as the four-voice Ut Phoebi Radiis and the lament for Ockeghem, Nymphes des Boys, the singers generally take a neutral interpretative line, allowing Josquin's own sense of musical architecture to determine the rate at which the music unfolds, without adding any extra articulation of their own. Some might prefer a more interventionist approach, but the intrinsic beauty of the Orlando's singing disarms most criticism. The clarity of the recording, which keeps every voice distinct even in the densest six-part textures, is a huge asset."